I'm a happy girl with my big box of clothes from Korea! xD Always hunting in the Sales section for good deals. Check it outtt~~ Thank you Uptownholic!! These were all selected by myself but due to sizing problem, I couldn't wear one piece =( But considering the other 7 pieces were alright, that's not bad right? Downside of online shopping, eh? Finally my own snuggly cardi for the cinema. I can give le Bf's hoodie a break now xD Quality is really good, soft & thick. 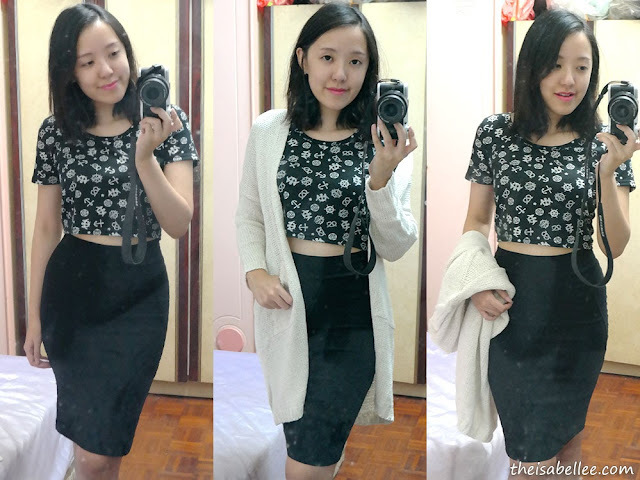 Matched with my sailor cropped top from Bkk and bodycon skirt from Tanks For 5/ Hook Clothing. I'm not normally a cute OOTD kinda person but this was irresistible! 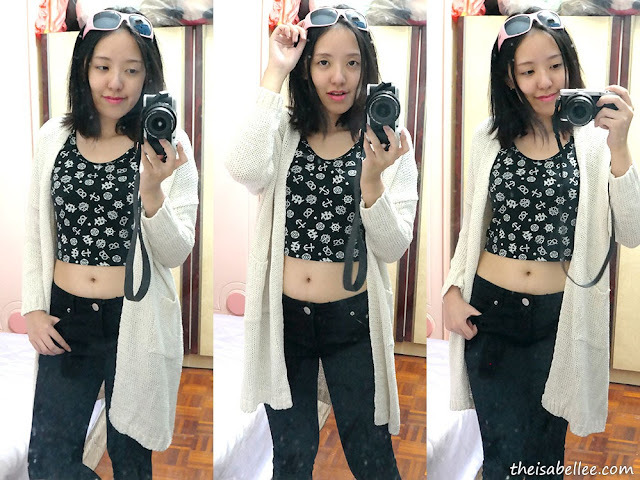 Since the material is already thick, I wore it as a top by itself. Matched with salmon scallop skirt and pink Charles & Keith bag from le Bf. Wow I really got a mixture of clothes here. Opted for a navy blue lace skirt because it seemed of really good quality in the pictures. Glad to see that the quality was just as expected =D It's a little formal-looking but good addition to my wardrobe. Diamante necklace from gangnamladys - Will give close up later! Out of all these, actually the basic top was my favourite! It's super soft & comfy with the perfect sleeve length so I wear it for both work & casual. It's also the top that 'bled' the most so do take care to wash all new clothes separately at first. Paired with one of my favs - Laurel Skorts from Showroom Korea. 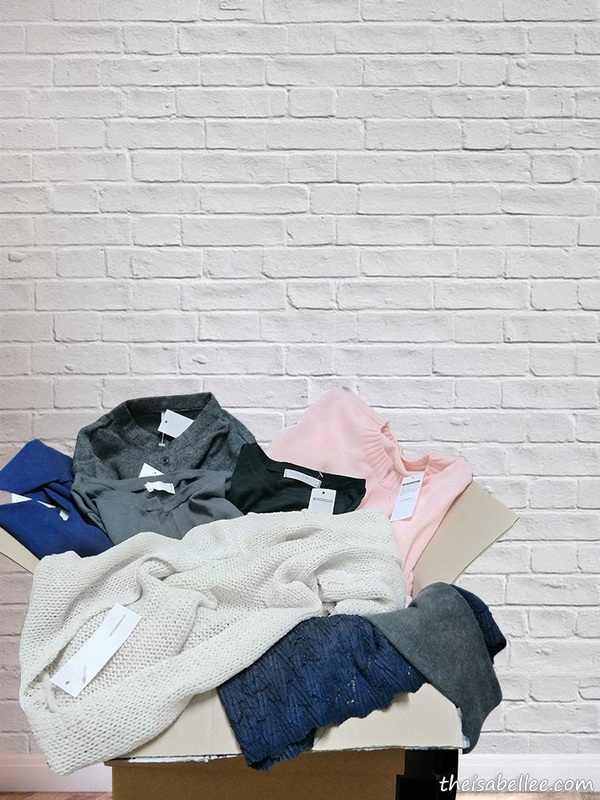 From my experience shopping from Korea online stores, they have lots of thick knitted materials so make sure you look at the closeups properly before purchasing. ALWAYS check out the Sales section first. Try to combine orders to get free shipping. Measurements & sizes are mostly accurate. So nice ah. So many new clothes. Hahaha a girl can never have too many clothes! hehehehe. Thank you dear for letting me know another online shopping avenue. Time to shop soon. They all fitted you well. Thank god there was no horror purchases, like those that I have read on the internet. wow nice haul you have there. Good you choose size that fits you. I always need to check size before purchase. Haven't been looking out for Men's wear haha sorry.. But I think for your body size shouldn't be a problem getting good stuff? Koreans just look fab no matter what righttt? Hahaha, I always search for sales section first also !! Hehe. Your selection looks great ! Wow.. I am shopaholic too. If I click on it, I can sure i will buy non stop. 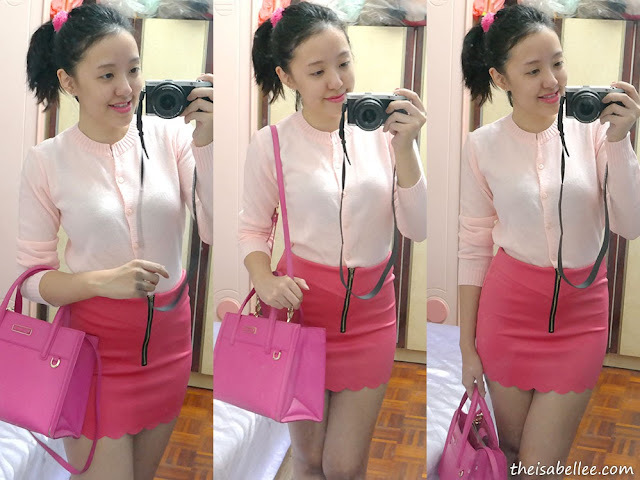 Thanks for sharing the website... haha..
Waaa I love to see when you are in the.pink outfit !! 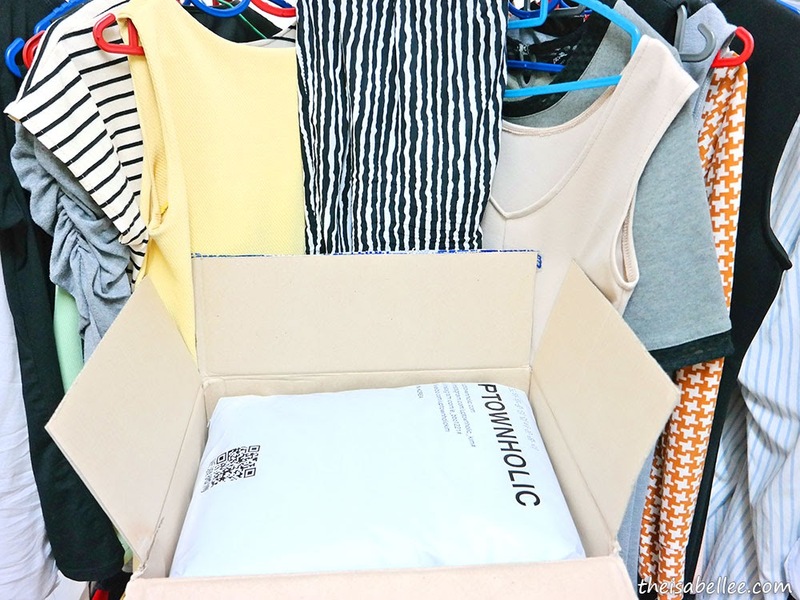 Wah so many new clothes to wear from Uptownholic. I like the skorts and thanks for sharing some tips here. nice blue dress, kinda chic and elegant! 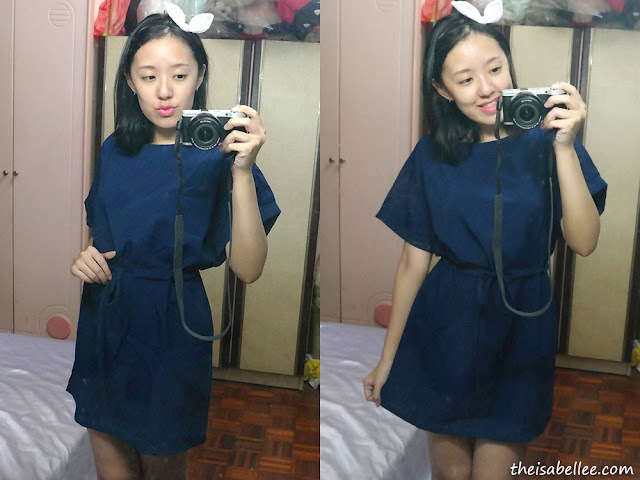 Blue Dress with Drawstring Waist nice! I love this kind of dress! Will check it out soon! nice cloth!! nowsaday all shopping online . really convenience ,yet reasonable rate!! nice top with black skirt ! 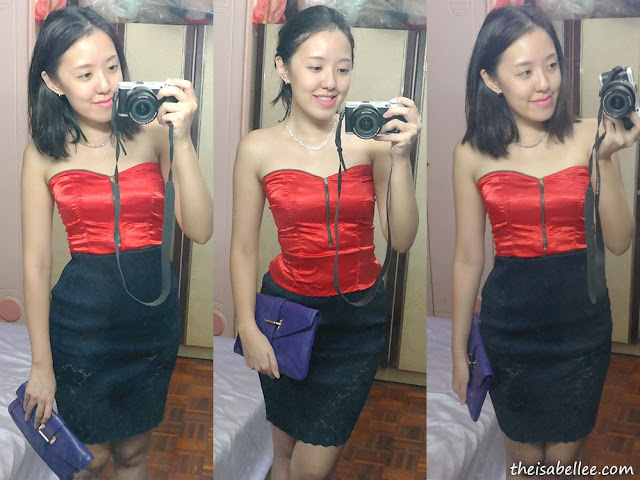 very fashionably korean :P .. i think the red tight dress not one of it right? love how the necklace looks on it, and how you look in that dress. the clothes are so pretty, i do agree with watch out for thickness but i love overseas dress coz they are usually not sleeveless...which i prefer haha. So nice.. All your outfit perfectly suite you! Gorgeous! Shopping and its straight from Korea! My god. And I'm just so jealous with those beautiful clothes youhave, especially the long cardi.